But being a cop is only partly about throwing the book at individual and corporate fraudsters. It is also about setting the rules of the road for markets and companies to protect investors, to establish fair and orderly markets, and to promote the availability of capital for companies to grow and create jobs. Take the 2008 financial crisis, which cost the U.S. economy 8.5 million jobs,2 $19 trillion in lost household wealth,3 and 10 million homes.4 Since then, the SEC has been essential to restoring the stability of U.S. and global financial markets and ensuring that Wall Street helps grow the economy, not crash it. The SEC may be best known for its portrayal in movies, but its efforts to promote financial stability, to protect investors, and to facilitate access to capital for businesses have a real impact on peoples’ lives. Anyone who lost their job because of the financial crisis or saw their life savings vanish due to a fraudster knows the costs of an SEC that is absent from its beat. To lead this vital agency, President Donald Trump nominated Jay Clayton, a longtime Wall Street attorney, to serve as the next chair of the SEC. Although the SEC is a five-person commission, the chair plays an instrumental role in setting the direction of the independent agency. For his part, Clayton is well-versed in corporate transactions such as public offerings, mergers, and acquisitions. But knowledge of how to get a corporate deal done tells us little about his approach to the difficult and important policy and enforcement challenges facing the SEC today. How he approaches these questions could significantly affect the financial well-being of millions of ordinary Americans and the overall health of the U.S. economy. During the Obama administration, the SEC took a number of important actions,5 such as establishing new oversight of hedge and private equity funds and credit rating agencies; creating a whistleblower program;6 expanding oversight of the municipal bond market; implementing anti-corruption disclosures; establishing new disclosures on CEO pay; and undertaking new enforcement especially in the arena of so-called dark pools—trading venues other than the regular stock exchanges.7 It began to crack down on bad-actor waivers8 that were routinely granted to the biggest financial institutions without conditions. It also participated in important joint rulemakings, such as the Volcker rule9—to ensure banks and their affiliates serve customers and do not manipulate markets or make swing-for-the-fences bets—and so-called skin-in-the-game retention of credit risk in asset-backed securities. The SEC adopted reforms10 to the money-market mutual fund industry and moved forward with new data collection and liquidity rules to protect investors in the asset management industry. It also adopted a consolidated audit trail to help prevent market manipulation and so-called flash crashes.11 Moreover, the agency handled one of the biggest and most controversial reforms to small-business access to capital in decades, creating new but riskier channels for raising capital, such as crowdfunding—tapping small investors via the Internet.12 Most of these rules were mandated by statute, and the SEC’s careful implementation of them is essential to ensure that markets have investor and public confidence. Yet the SEC also leaves much unfinished. Its oversight of the nearly $10 trillion securities-based swaps market—including credit default swaps13—is not up and running, stymied by internal delays, cost-benefit analysis burdens, and an overly complex approach to implementing the necessary regulations. The SEC also did not finish rules to protect investors in asset-backed securities against conflicts of interest,14 executive compensation limits, or joint rules on incentive-based compensation in financial firms. It did not complete its efforts to modernize asset management rules. Nor did it advance a range of important investor protections, including those related to new risks from marketing stock sales to the public that are not listed on an exchange and are targeted at sophisticated investors or longstanding conflicts of interests with financial advisers. The agency started a highly controversial effort to reform corporate disclosures,15 which often leaned in the direction of reducing them at investors’ expense but also held out the promise of providing much-needed new information about matters such as sustainability, taxes, and political spending. Equally problematic disclosure effectiveness efforts remain underway at the Financial Accounting Standards Board, or FASB,16 which the SEC oversees. It is against this backdrop of unfilled promises that the next chair must define a vision and implement a plan to ensure strong markets and investor protection. Unfortunately, there is nothing in Clayton’s record to tell how he would do so. That should be highly concerning. Clayton’s stances on the following topics are some of the most important pieces of information for evaluating his nomination. His answers to the key questions outlined below will determine his fitness to lead the SEC. The SEC was founded as an independent regulatory agency because it has long been recognized that political interference is damaging to the effective policing of the financial markets. It is crucial to know if Clayton, if confirmed, will stand by that independence. The SEC enforcement staff in Washington and at regional offices across the country perform core investigative and enforcement responsibilities that are vital to preserving free and fair financial markets for investors. This includes potentially sensitive topics such as corporate or government insider trading and foreign corrupt practices—some of which Clayton has questioned in the past.20 The success of the SEC in policing malfeasance in financial markets hinges on its independence. Will you fully and independently enforce the law, including against corporate and government insider trading and foreign corrupt practices? Question: Will you commit to both cooperation and communication with fellow regulators and analytic agencies, including the Office of Financial Research, while also standing up for the SEC’s analytic and decision-making independence, especially from the political arms of the executive branch? Question: Do you intend to use the full scope of the SEC’s tools to protect investors and bring accountability to the markets, including the congressionally mandated “bad actor” bars, especially for the largest market participants that are repeat offenders? Capital markets can only efficiently and effectively raise money if investors are confident about what companies will do with their investments. Today’s investor protection regime is not up to the challenges facing all types of investors, from individuals to large pension funds. If the SEC seeks to promote an adequate supply of capital for the companies of tomorrow, investors need confidence that the market is clean, orderly, and fair and works in the long-term interests of a healthy, competitive economy. Broker-dealers, investment advisers, and mutual fund houses are crucial to average investors who lack a deep understanding of investing in securities markets. If these financial institutions peddle overly complicated or predatory products, or if they incentivize their employees in ways that run contrary to the interests of retail investors, families could watch their hard-earned savings dissipate due to hidden fees, or worse. Question: What, in your view, are the principal challenges facing ordinary retail investors? How will you place their interests first, compared to the financial firms that show up to lobby the SEC every day? Investors need to have a comprehensive view of a company’s performance and future outlook. As the world continues to grow more complex, businesses must account for a multitude of variables relating to environmental, social, and governance issues that could directly affect performance. Investors weigh26 business actions and inactions in areas such as climate change, human capital investment, political spending and lobbying, and tax strategies, but these are often not27 meaningfully disclosed in SEC filings. In addition, the mechanics, standardization, and reliability of disclosure have not kept pace with the data-driven world in which we live. What disclosure requirement changes will be made so investors can be confident that they will have access to the information they need to make smart decisions allocating capital? How will you protect and advance the legitimate disclosure needs of both retail and institutional investors, especially in this data-driven age? Will you fight to maintain important transparency enhancements, such as those relating to foreign bribery in extractives and supply-chain security for conflict minerals? How will you promote greater data standardization and transparency through such tools as the required used of the Legal Entity Identifier and mandatory, audited data-tagged disclosures (such as Inline XBRL)? How do you view the importance of accounting transparency and disclosure? Will you oppose efforts, at the SEC or at the FASB, to reduce the availability of useful information for investors? The federal securities laws provide an exemption from SEC registration and public disclosure for the private sales of stocks and bonds. These transactions are inherently risky due to limited secondary-market liquidity, opaque valuations, and limited disclosures.28 Given the dramatic expansion of the private marketplace, the “accredited investor” definition has come to play a central role in determining how many investors are exposed to the risk of the private marketplace. Question: What steps can the SEC take to improve its oversight, promote transparency, and protect investors in the private marketplace? Many publicly owned companies have foregone profitable investment opportunities. Instead of focusing on long-term sustainability,29 corporate executives often choose to buy back stock. After policies began to encourage compensation packages based on stock options, the largest U.S. companies paid out half of their profits, some $3.4 trillion,30 in buybacks from 2004 to 2013 alone. What specific actions should the SEC take to undo policies that have long encouraged a short-term approach to economic growth while protecting the accountability of corporate managers to investors and other important public corporate governance rights? Would you support, for example, removing the safe harbor from insider trading laws that currently permits buybacks that can heavily benefit insiders and sophisticated market participants? What role can equity market structure play in promoting a long-term focus and improving accountability to investors? Are you committed to preserving the SEC’s investor protection role in relation to private funds, including the direct examination of funds that has proven so important to protecting the smaller limited partners that invest on behalf of workers? How will you approach the investor protection issues that have come to light in the increasingly electronic markets for stocks and bonds, including U.S. Treasurys? Since the financial crisis, the SEC has been charged with implementing a number of financial stability-related reforms to protect investors, ensure fair and orderly markets, and promote capital formation in the economy under its mandate. During the financial crisis, unregulated over-the-counter derivatives called swaps almost tore down the entire financial system. These financial contracts are, in essence, simply large bets. They are often used to transfer risk but, in doing so, often concentrate risk as well. The insurance giant AIG engaged heavily33 in the unregulated derivatives market through credit default swaps. AIG used these derivatives contracts to insure supposedly safe bonds that were backed by subprime mortgages without having adequate resources to cover potential losses. When the subprime housing market tanked, AIG had to make payouts on the derivatives—threatening its solvency and requiring a $180 billion bailout34 from American taxpayers. The Dodd-Frank Act mandated that the SEC write rules enhancing transparency, reporting, collateral, capital, customer protection, and trading requirements in its corner of this formerly unregulated portion of the derivatives market. While the SEC finalized some of the rules needed to get the market up and running, there are still important swaps rules yet to be finalized. What will be your approach to protecting financial stability and preventing future AIG-style bailouts in relation to the swaps provisions mandated in the Dodd-Frank Act, especially those that remain outstanding? Will you complete the final outstanding rules in a timely manner and stand up the oversight regime completely? What will you do to protect American taxpayers and financial stability from overseas swaps trading by affiliates of U.S. firms, which in a crisis often result in financial risk flowing right back to the United States? The financial crisis taught the country that threats to financial stability can develop outside of the traditional banking sector. Prior to the crisis, no regulatory body was tasked with looking at systemic risks across the entire financial sector. One of the innovations of the Dodd-Frank Act was the creation of the Financial Stability Oversight Council,35 or FSOC, which is responsible for investigating and analyzing risks across the financial system and serves as a forum for all of the separate financial regulators to share information with one another—something that was scarcely done before the crisis. One area that the FSOC has paid very close attention to recently is the potential systemic risks posed by hedge funds,36 which manage hundreds of billions of public and private pension fund dollars and, since the Dodd-Frank Act, are subject to SEC oversight. Question: How will you work cooperatively with other agencies, including the FSOC, to share data and analyses and ensure that the next financial crisis cannot emerge through the cracks in between the regulatory structure? Recognizing that regulation of the asset management industry needed modernization, the SEC recently adopted rules37 for mutual funds to prevent the investor losses that occur when funds are forced to sell illiquid assets in so-called fire sales. To fully modernize asset management regulation, more needs to be done. The SEC has not yet finalized rules38 that place limits on registered funds’ use of derivatives. The SEC also has failed to develop and implement a framework to stress test funds. 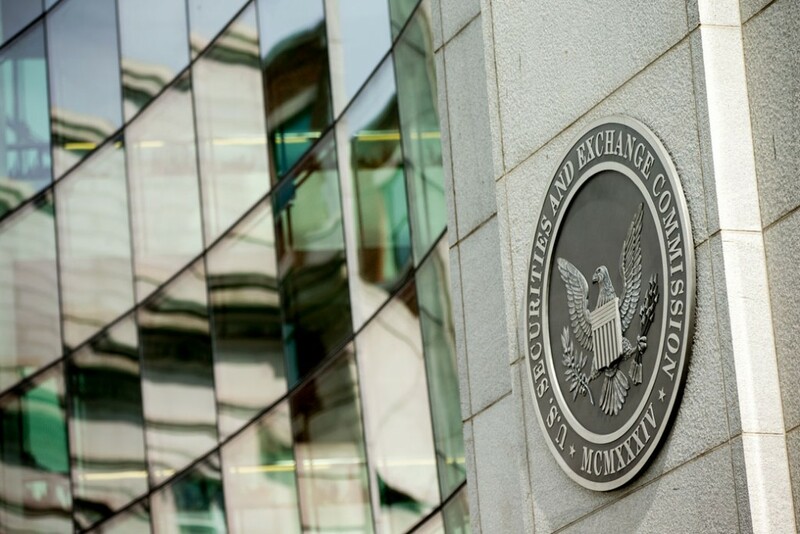 Question: What actions will the SEC take to ensure the asset management industry is appropriately regulated to protect investors and promote financial stability? Do you believe that investors in asset-backed securities should be exposed to conflicts of interest, such as when the underwriter designs the security to fail? Will you implement Dodd-Frank Act Section 621 vigorously, and without exemptions, to protect investors and restore market confidence? Will you finish the transparency rules for asset-backed securities begun by the SEC? Perverse incentives embedded within executive compensation packages43 on Wall Street fueled excessive risk-taking and helped precipitate the financial crisis. The Dodd-Frank Act required the SEC and other agencies to write rules curbing risky pay practices on Wall Street and to provide better information to shareholders on the compensation incentives that drive management. These rules also help investors monitor how a company treats its average worker in relation to soaring CEO pay. Will you maintain the important transparency brought by the disclosure of the ratio of a CEO’s pay to that of a company’s median worker? The Volcker rule—named after former Federal Reserve Chair Paul Volcker—was put in place to ensure that banks and their affiliates serve their customers rather than betting against them and to prevent excessive concentration in the capital markets. Many on Wall Street have attacked48 the Volcker rule because the risky bets made before the crisis could be quite profitable—and if they lose big, taxpayers foot the bill. Some of the Wall Street attacks49 on the rule claim it damages market-making capacity and therefore weakens market liquidity. Plenty of evidence50 suggests this illiquidity argument is simply not true. Question: Will the SEC maintain and enforce a strong Volcker rule to prevent banks and their affiliates from betting against their customers and also provide additional transparency around its implementation in the financial sector? Nominee Clayton’s lack of a public record on the important issues facing the SEC and conspicuous lack of experience administering a regulatory agency make his confirmation hearing before the U.S. Senate Committee on Banking, Housing, and Urban Affairs a crucial opportunity to gain clarity on his views. Because of a history that includes the Enron accounting scandal, the Bernie Madoff fraud, the 2008 financial crisis, ongoing challenges with electronic trading, emerging risks to seniors and others from small offerings, and more, the stakes and the need for a leader at the SEC who will protect investor interests have rarely been higher. Andy Green is the Managing Director of Economic Policy at the Center for American Progress, Andrew Schwartz is a Policy Analyst for the Economic Policy team at the Center, and Gregg Gelzinis is a Special Assistant for the Economic Policy team at the Center.